As a startup marketer, you work hard to reach your goals. Usually you accomplish tasks under serious constraints. Many times you are the only marketing person on board, you have to do everything on your own with a minimal budget, and everything needs to be ready yesterday. Welcome to the world of marketing superheros! Apparently, you need to be one to successfully manage all your startup marketing activities, including your messaging, branding, website, content, social media, email marketing, campaigns, PR, events, collateral, etc. I’ve been there, believe me. 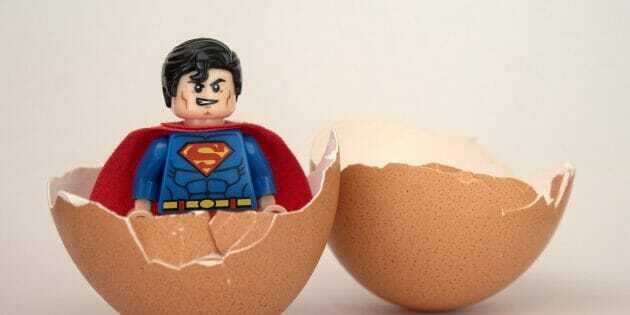 And over time, I have gathered my secret list of blogs and resources that have allowed me to become a startup marketer superhero. These 6 professional blogs and resources not only keep me on the right path to achieving my goals, they also help me stay in the know, deal with the most of challenging professional queries and get stimulating ideas that ultimately help me get more done in less time. I am confident they will do the same for you. HubSpot is the master of inbound marketing and offers a high-end inbound marketing and sales software that helps companies attract visitors, convert leads, and close customers. As such, they tackle many key marketing topics on their blog and resources section that we, startup marketers, deal with on a daily basis. Why is HubSpot on my list? 1) HubSpot has a great content operation. It has endless resources that can teach you everything you ever wanted to know about inbound marketing, which is kind of a must activity in 90% (if not more) of startups today. 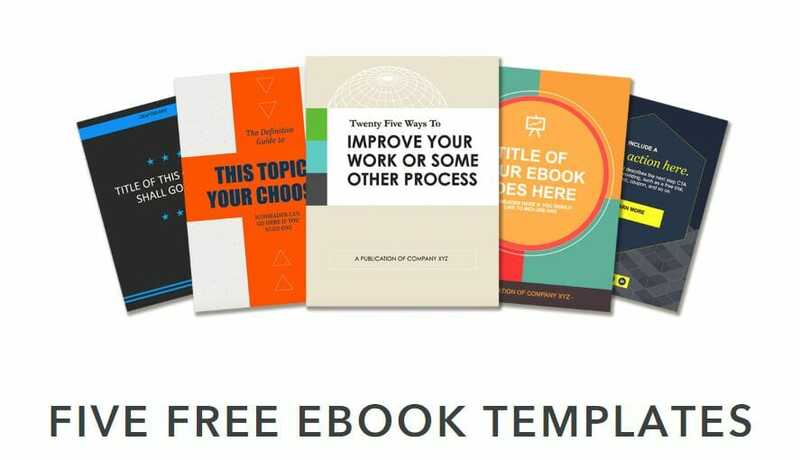 2) Their resources section offers super-focused guides that can help you master specific buckets within inbound marketing, such as email marketing, content marketing, social media management and more. 3) HubSpot also has templates for everything imaginable, from newsletters and blog posts to ebooks and infographic. These templates saved me countless hours and taught me the best practices in a simple and fun way. What kind of content can you find on HubSpot? 1) Free infographic templates – These infographic templates are very well designed and super easy to edit because they were created in PowerPoint. 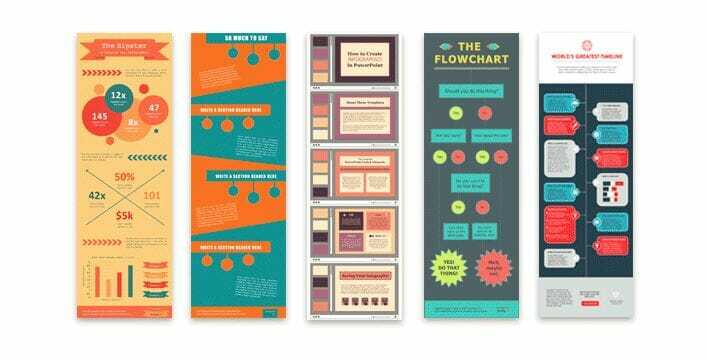 These templates will give you great ideas for your next infographic and turn a complicated project into a feasible task. 2) Content Marketing Workbook – A beginner’s guide to applying content marketing to your business. 3) Blog Ideas Generator – Whenever you feel that you are running out of blog ideas, you can use this tool to generate multiple title ideas in seconds. If you have self-discipline, don’t waste another minute – sign up to Lynda.com. This site is a great place to find a huge variety of online courses. I took dozens of courses on Lynda.com and enjoyed all of them, while learning a lot. Lynda.com is also available as an iPhone and iPad app, so I completed most of the courses while commuting to the office. Why is Lynda.com on my list? 1) Courses on Lynda.com are taught by people who are marketing experts from leading companies. I appreciate and value real life experience. These are exactly the kind of people I need to learn from. 2) It’s really user-friendly. 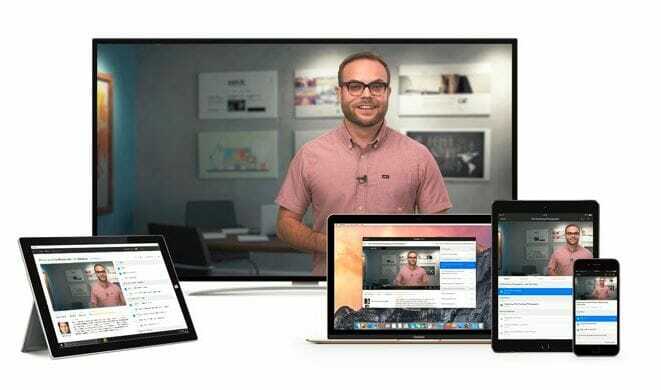 Each video includes a transcript, an option to view the course offline and FAQs. These additions are extremely helpful when you want to delve into the material. 3) The Brad Batesole weekly marketing tips on everything from social media to digital advertising to techniques and tools will boost your marketing productivity. This guy is brilliant. What kind of content can you find on Lynda.com? 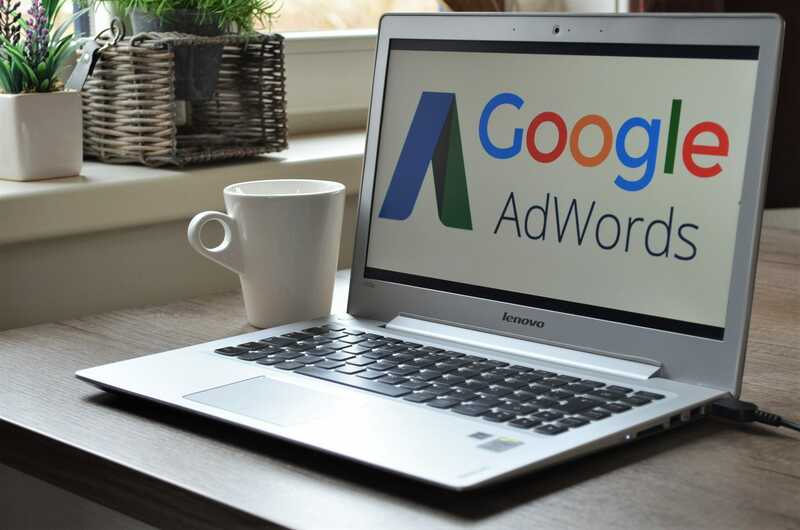 1) Google AdWords Essential Training – If you have to setup a Google AdWords campaign and you either don’t have a clue where to start or you need a refresher, this course will guide you through the whole process. 2) B2B Foundations: Social Media Marketing – Do you think you know everything about how to use social media for B2B marketing? I personally discover time and again that I can always learn something new. 3) Marketing Analytics: Setting and Measuring KPIs – How are you measuring your marketing efforts? This area is becoming more and more critical in any respectable marketing operation. This course will teach you how to define your KPIs and keep track of relevant data. Smart Insights is a content publishing and learning platform that helps its members (around 150,000 of them) plan, manage and optimize their marketing efforts. So, if you have a professional query about marketing, you are very likely to find an answer or relevant references here. Why is Smart Insights on my list? 1) The people behind Smart Insights: Dr. Dave Chaffey and Stu Miller are super professional, seasoned and active digital marketers. Whether you are using one of their planning templates or guides, you actually feel that you are guided, hand by hand, by a real pro. 2) They already thought of all the details in regards to planning and executing your marketing, therefore, you can save a huge amount of time, and be sure you are on the right path, with this great resource. 3) All their materials are user-friendly, from both content and design perspective. They know you don’t have the time or attention span to read a lot, so they serve their content in an inspiring way that always keeps me focused. What kind of content can you find on Smart Insights? 1) B2B Startup Digital Marketing Plan example and case study – This toolkit includes 3 separate templates to help create a B2B Saas Strategy: A Word document workbook, a Case Study, and an Excel KPI Dashboard. The workbook template and KPI dashboard are designed to help the marketing of any start-up business. 2) B2B Inbound Marketing workbook – Content marketing is one of the most significant components of inbound marketing. I assume you know by now that you must apply inbound marketing to support your sales funnel, but I am guessing that you don’t necessarily have a structured plan for it. This workbook will provide you with a useful framework to structure your inbound and content marketing activities. 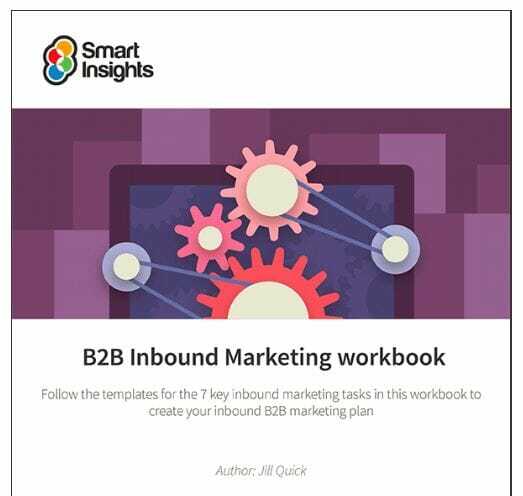 3) Brilliant B2B Digital Marketing Ebook – Smart Insights called this ebook the ‘Bible’. I can relate. This ebook covers all the techniques you need to consider in order to make your online B2B marketing more effective. I was really inspired by the great examples they included in this ebook. Moz is the king of SEO. As such, it offers some very useful SEO tools and excellent blog posts, focused on everything you can do to promote your company’s position in the search results. Why is Moz on my list? 1) Moz’s SEO experts are willing to share their SEO knowledge with marketers. Their blog page is the first place I look when I am searching for an SEO-related query. 2) The Moz Q&A forum is open to everyone to explore. In order to ask your own questions or comment, you need to have a Moz Pro account. This community covers everything about SEO, and there is a good chance the question you are about to ask was already asked by someone else – just use the search tool and find the answer to your question. 3) I like the way the team tackles their blog posts, each covering one piece of the SEO puzzle while walking you through the topic using user-friendly content, screenshots, and great examples. What kind of content can you find on Moz? 1) How to Discover and Monitor Bad Backlinks – I am willing to bet you never really thought about running a backlinks audit. That is the beauty of Moz’s posts. They will give you answers to questions you didn’t even know you should ask, and they will also guide you through the whole process. 2) How Do You Set Smart SEO Goals for Your Team/Agency/Project? – You probably already know it’s highly important that your SEO goals are tied to both your company goals and your marketing goals. But many of us struggle with setting our SEO goals. That’s why this is an interesting post to read, and it also includes two examples that I found really inspiring. 3) How to Optimize Your ‘Google My Business’ Listing – Optimizing your ‘Google my Business’ listing sounds like a tiny issue to solve so I bet you haven’t spent much time thinking about it, but the truth is it has a significant impact on your SEO. That is what makes Moz’s posts so essential – they bring important SEO-related issues to your attention. Marketo offers a marketing automation platform that empowers marketers to create lasting relationships and grow revenues. They also offer a very well-written and valuable inbound-marketing blog. Why is Marketo on my list? 1) After reading a lot of their blog posts, I can say their creative insights and the best practices they offer for digital marketing are always insightful and a joy a to read. 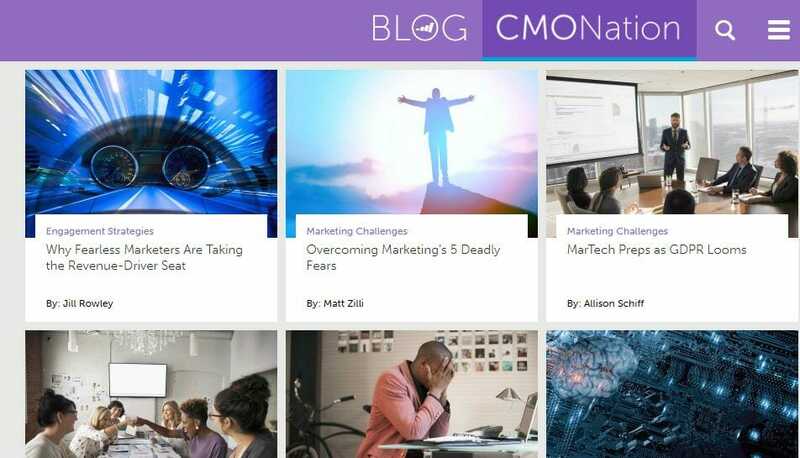 2) The CMO Nation area of their blog is a special section that offers an executive perspective on the ever-changing role of the marketer, which I find super-interesting. What kind of content can you find on Marketo? 1) Taking LinkedIn to New Heights with Updated Tools – What do you know about LinkedIn’s latest features? Have you tried to add filters and text to LinkedIn native video? Have you explored LinkedIn’s new analytics? If you don’t know what I’m talking about, take a few minutes to read this post. 3) Key Content Marketing Metrics for the Fearless Marketer – Can you tell the difference between a piece of content and a piece of content that serves a content marketing strategy? Whether your answer is yes or no, I’m willing to bet you will find valuable insights reading this post. Social Media Examiner has made it its mission to bring some order into the social media jungle, which is good news for startup marketers. Why is Social Media Examiner on my list? 1) Social Media Examiner is comprised of social media marketing experts and I find their blog posts fun and beneficial. They cover every social media aspect you can think of, and they are doing it better than anyone else out there, in my humble opinion. 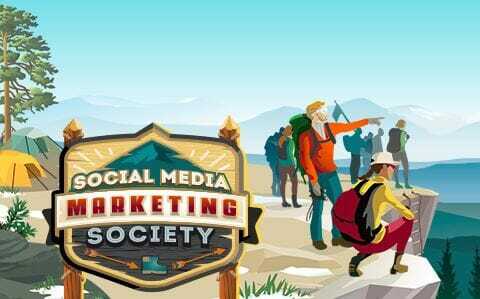 2) Their social media marketing society is like having a team of social media marketing experts there to support you whenever you need them. The Society is my secret weapon. From my experience, it reduces my trial and error time and helps me guesstimate (based on others’ experience) what will work best for achieving my social media goals, de facto turning me into a social media superhero. The membership fee to join the society is $697 annually. 3) Their Facebook, LinkedIn, YouTube and Instagram marketing guides – These guides include everything you need to know about Facebook, LinkedIn, YouTube and Instagram marketing. Since these popular media channels make frequent changes to features and policies, I always keep theses guides within reach. 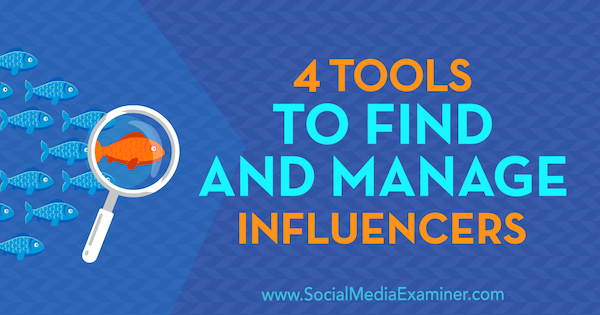 What kind of content can you find on Social Media Examiner? 2) Instagram for business: The Ultimate Instagram Marketing Guide – This is especially useful if you’re new to Instagram business options or want to add something new to your current Instagram marketing plan. 3) How to Improve Your LinkedIn Engagement – If you are using LinkedIn on a regular basis, you know it is not easy to attract viewers and gain shares. This post details several tips and tricks to increase views and shares on your LinkedIn content. Being a startup marketer is not easy. You are required to find professional solutions to your most burning marketing issues in zero time, while often there is no one around to advise you. That is why it is crucial to have trusted resources within reach. My list of blogs and resources was built over time, with a lot of trial and error. But today, I can say with confidence that I know I have a group of professionals to support me with any marketing issue I might come up against. 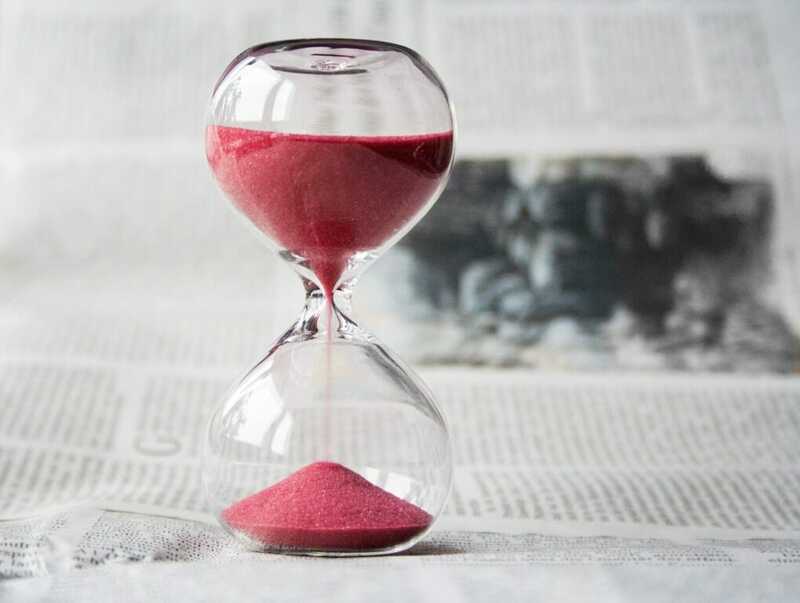 My best advice to you is to take some time and explore available resources in advance, with the aim to learn which resource can serve you best for different topics or issues you may run into. Then, when you face a marketing issue you want to explore, you will know where to go first. Also, do yourself a big favor and subscribe to your selected resources’ newsletter, join their communities and never stop asking questions. Maya Dror Melamed is a director of marketing at G2M Team. Maya is a marketing master with over ten years of experience in a broad variety of industries. You should just give her the cue, and she will establish your marketing from scratch in no time. Tsipi Joseph is a co-founder of G2M and Appgo2market.com. Tsipi has been in the marketing business for oh so many years, dealing with techy products and services in almost any industry you can think of, including mobile apps, augmented reality, telecommunications, finance, medical, cyber and more. Tech marketing isn’t Tsipi’s last name, but it should be! With G2M we managed to achieve great results in a short time. 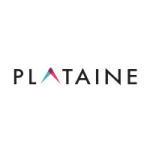 They deeply understand the start-up spirit and pace, and demonstrate exceptional professionalism with digital and social marketing best practices. It's great to have someone who keeps asking the hard questions, and searching for better solutions. G2M is a priceless extension of our team, for both strategy and execution, all in one. They are our genie in a bottle! 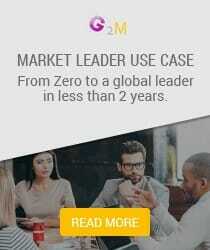 G2M manages all our marketing activities. Starting with our strategy and branding, setting KPIs, through infrastructure automation and our customer management system, running our social channels, blogging / messaging and every other marketing related activity. Flawless execution, admirable dedication, great results. Highly recommended team. G2M practically established our marketing operation, taking the lead and executing around all the marketing buckets that were critical for our KPIs: Content marketing, email marketing, lead generation campaigns, SEO, conversion optimization and more. The results were immediate. G2M planned and created all the marketing materials we needed for a successful launch, faster than we could ever imagine and without compromising the quality. G2M’s umbrella of services is exactly what startups need! Creating a successful online lead-gen machine for a B2B tech company is an art if you ask me. G2Mteam masters this art.